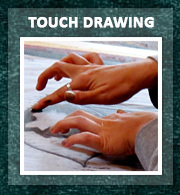 Touch Drawing is a simple yet profound process. Paper is placed over a smooth layer of paint. 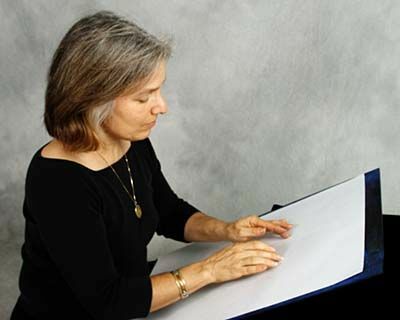 The pressure of fingertips on the page forms images on the underside. The hands are extensions of the soul, moving in response to the sensations of the moment. Channels of expression open, enabling feelings to flow. 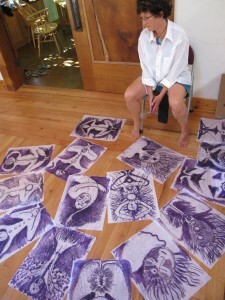 A whole series of drawings is created in a single sitting. Each is a stepping stone deeper into the self. 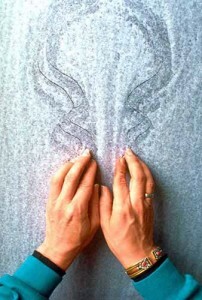 This act of creation unleashes vibrant forces that guide the psyche toward its innate wholeness. Even a person with little confidence in their art skills can experience the fulfillment of seeing their interior life come alive on the page.Touch Drawing is a practice of creative, psychological and spiritual integration. 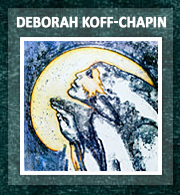 Deborah creates an atmosphere of safety and intimacy in her workshops. 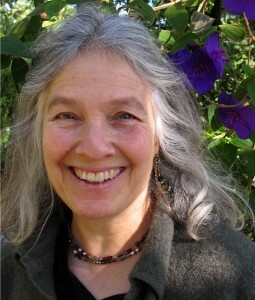 She holds sacred space with drum, chimes, crystal bowls and evocative vocal toning while you draw. 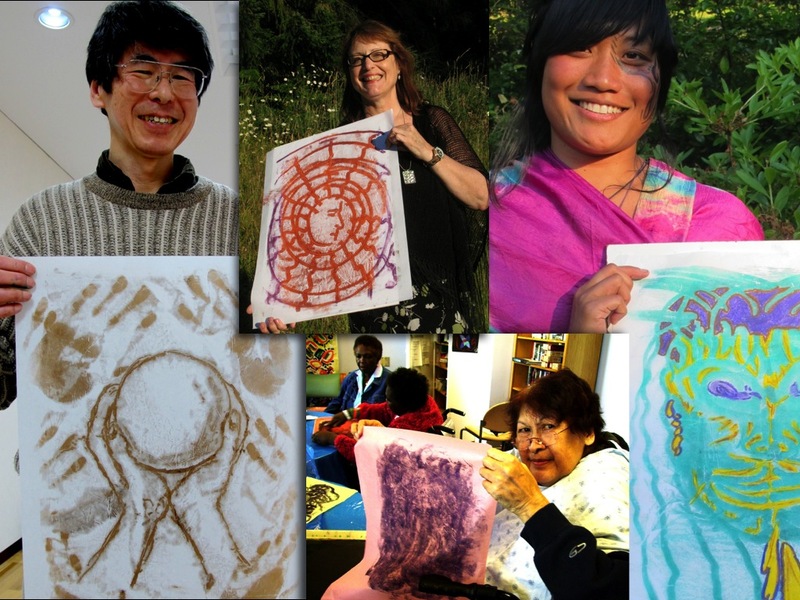 Drawing sessions are enriched with circle sharing, group vocalizing, creative writing, and meditative movement. This is an immersion is soulful expressive arts. 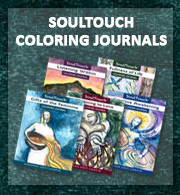 Touch Drawing is relevant to artists, therapists, social workers, health care practitioners, educators, chaplains, intuitives and anyone who longs for authentic creative experience. Deborah is particularly interested in introducing Touch Drawing to people who want to facilitate the process in their own field of work. She is happy to talk with you about how you can use Touch Drawing in your particular field. Contact The Center for Touch Drawing with questions. 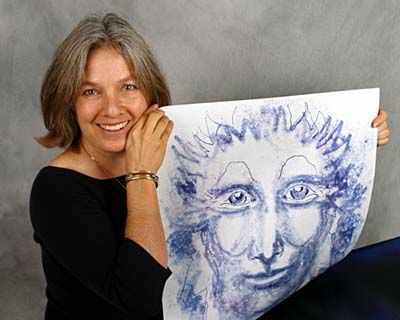 Deborah Koff-Chapin has been practicing and teaching Touch Drawing since she began exploring its vast potential in 1974. She weaves Touch Drawing with her evocative singing, drumming, crystal bowls and ceremonial skills to facilitate transformative arts experiences. 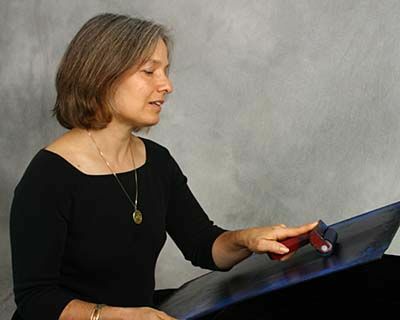 Deborah has facilitated Touch Drawing at conferences, graduate programs and retreat centers internationally. 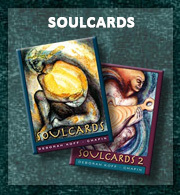 She is creator of SoulCards 1 & 2 and author of Drawing Out Your Soul and The Touch Drawing Facilitator Workbook. 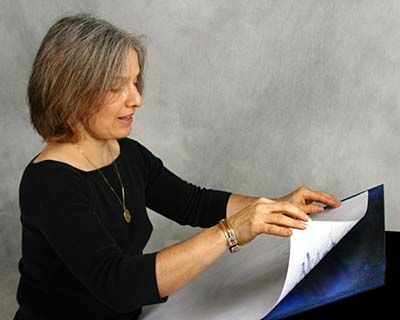 Deborah has served on the board of directors of the International Expressive Art Therapy Association.